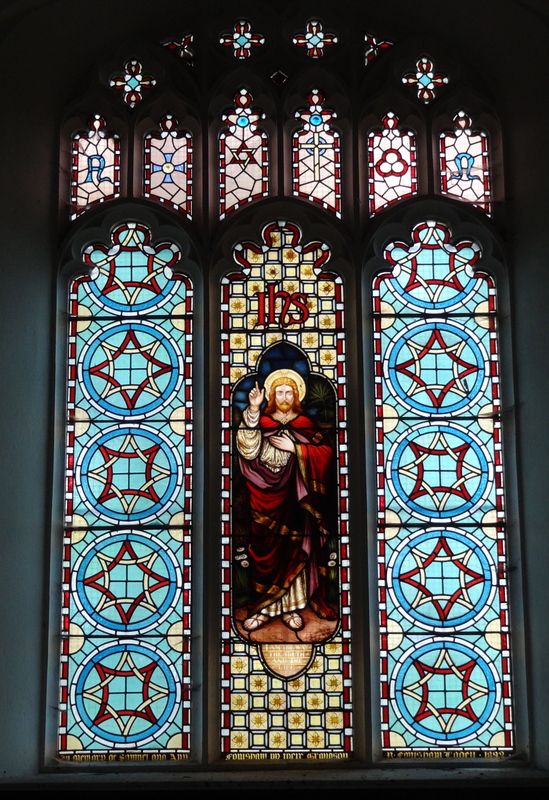 Interior of St Stephen, Chapelfields, which has recently undergone major restoration because some careless workman left an outside underground tap on, which undermined the foundations! 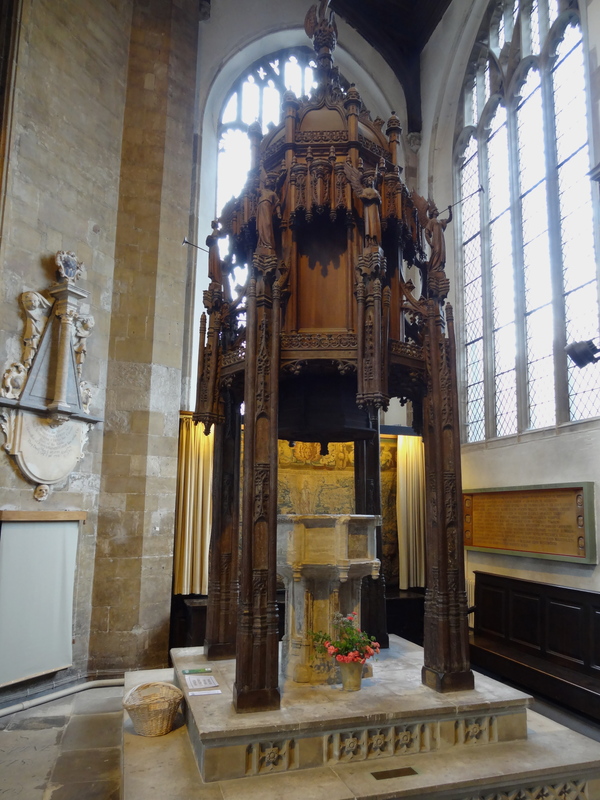 The font and rare timber canopy of St Peter, with a ancient tapestry in the background, which depicts Jesus wearing a hat! 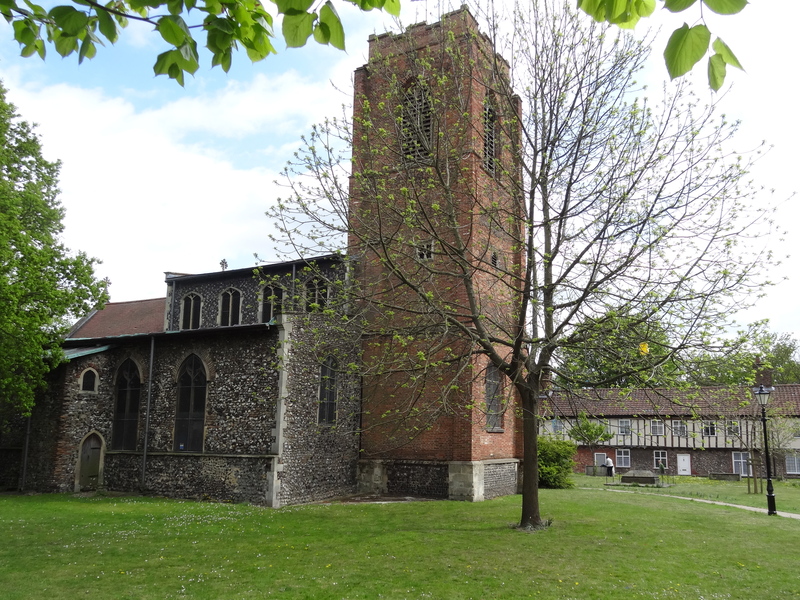 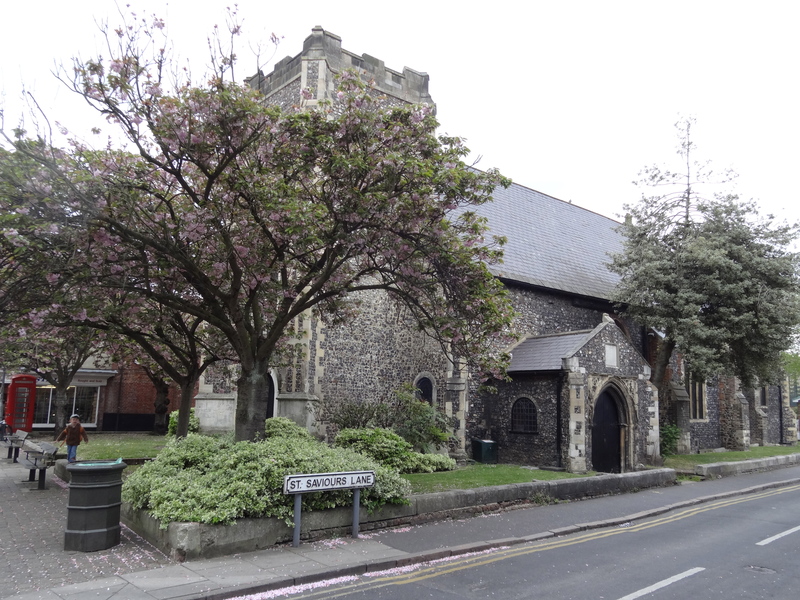 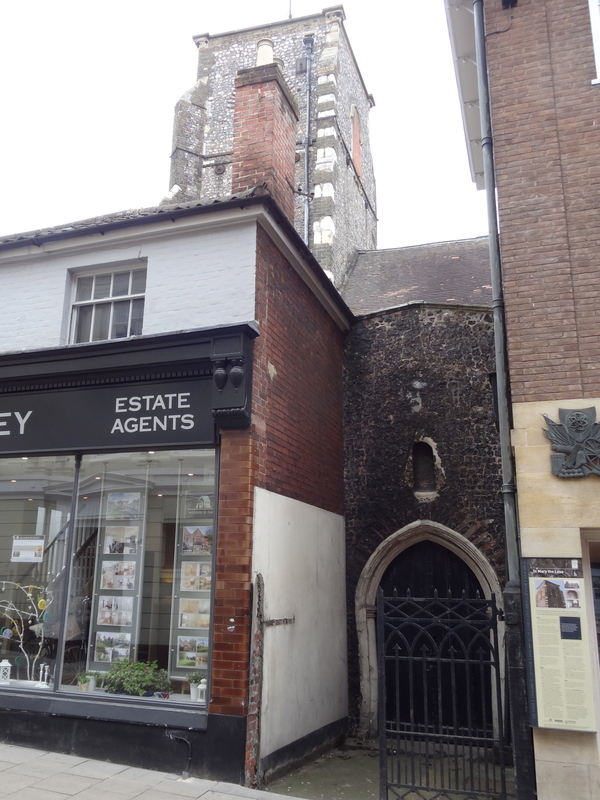 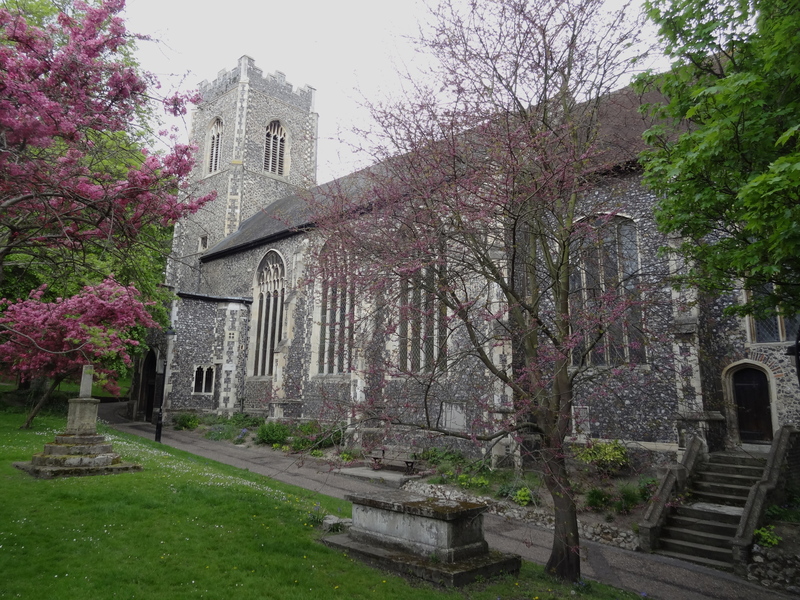 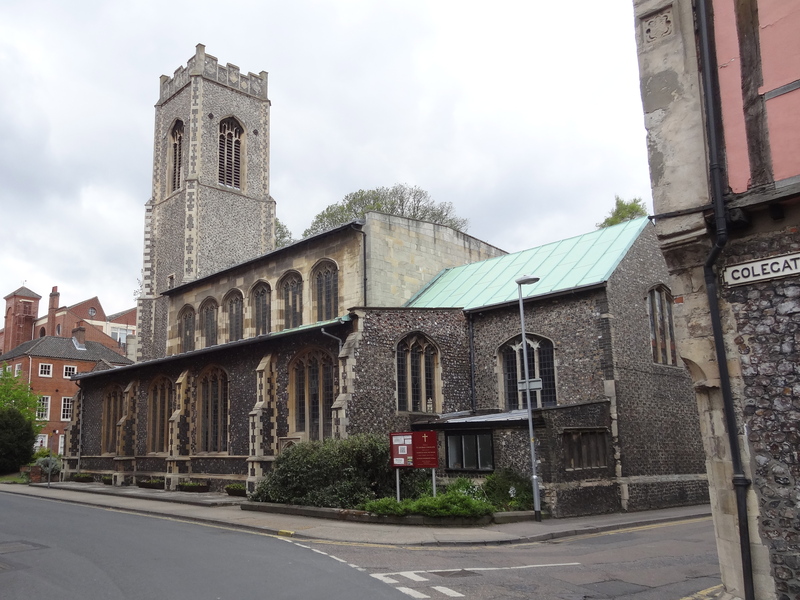 St Mary the Less, entered through a modest door on the street – with a hidden ‘private’ church behind! 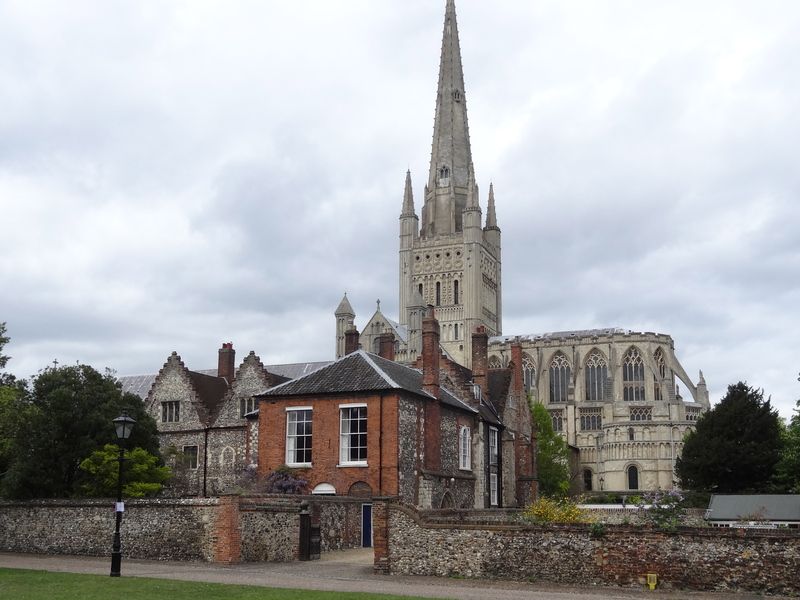 A view from the Cathedral close of this spectacular structure, with it’s resident breeding Peregrine Falcons! 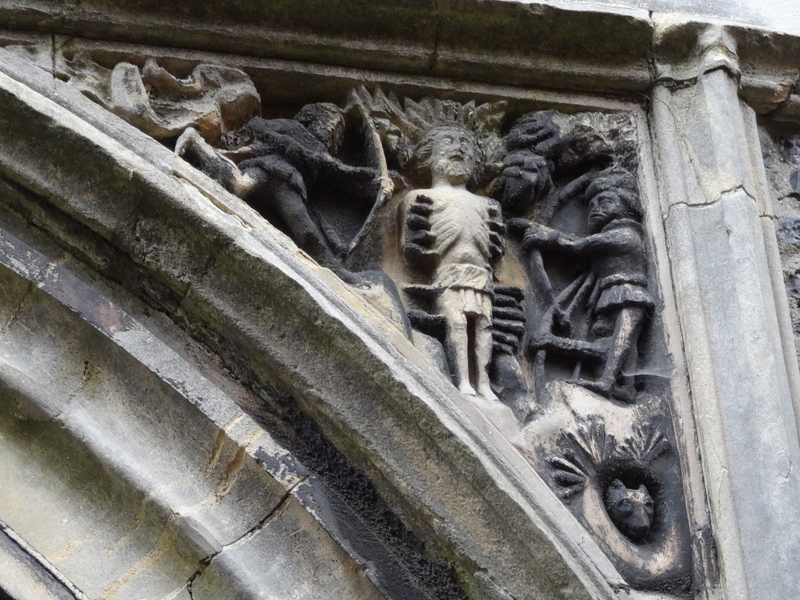 The west doorway of St Laurence, on St Benedict’s Street, depicting the martyrdom of St Edmund, who was killed by arrows and had his head cut off. 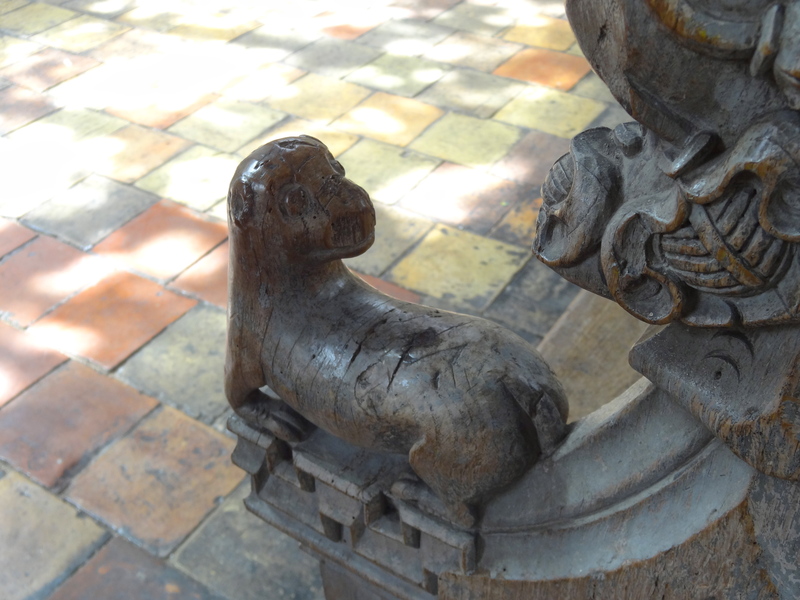 Legend has it that it was watched over by a wolf and that head and body were later reunited! 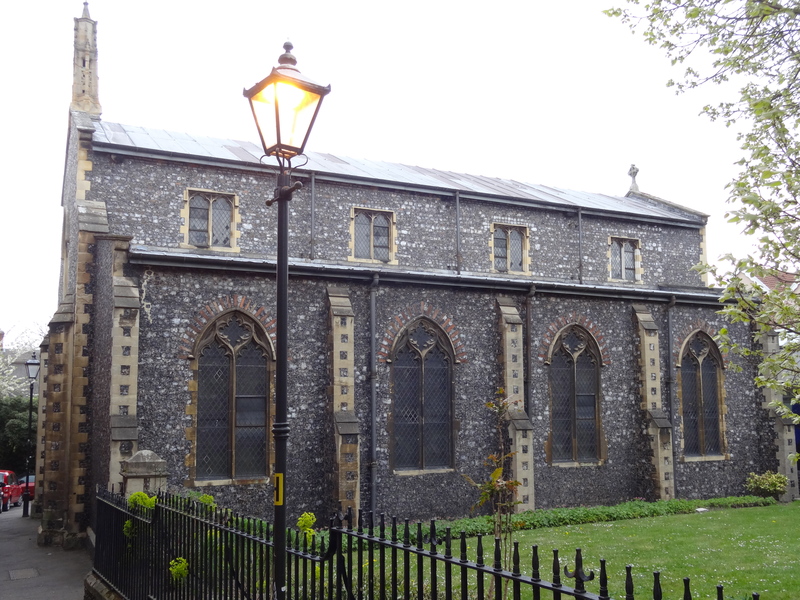 St Giles on the Hill – in the drizzle. 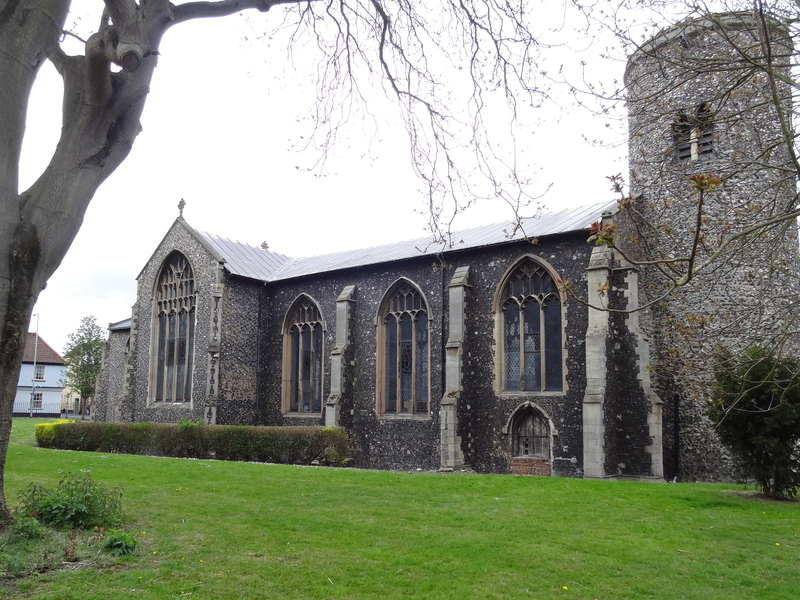 The remaining churches were done ‘at a run’ before retiring, wet, tired but happy to the Indian restuarant! 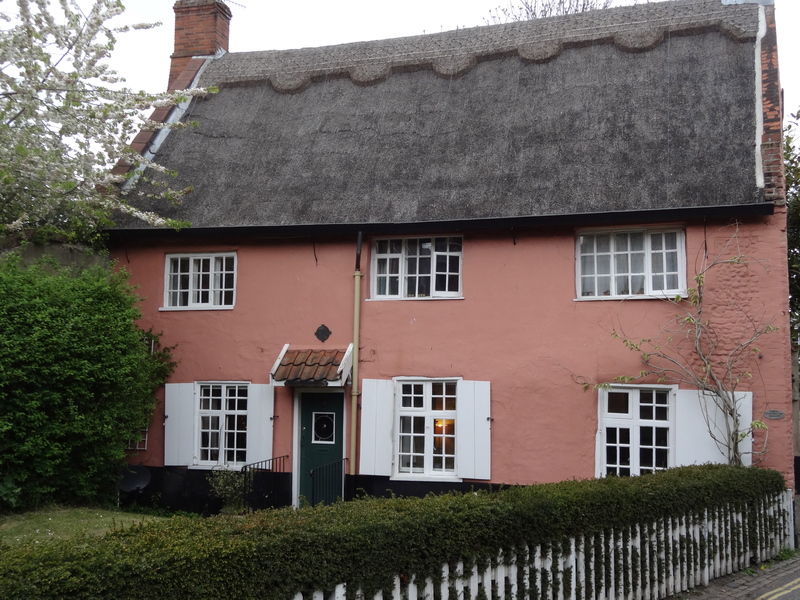 Post script – not many UK cities can boast a thatched cottage within a stones throw of it’s shopping centre! 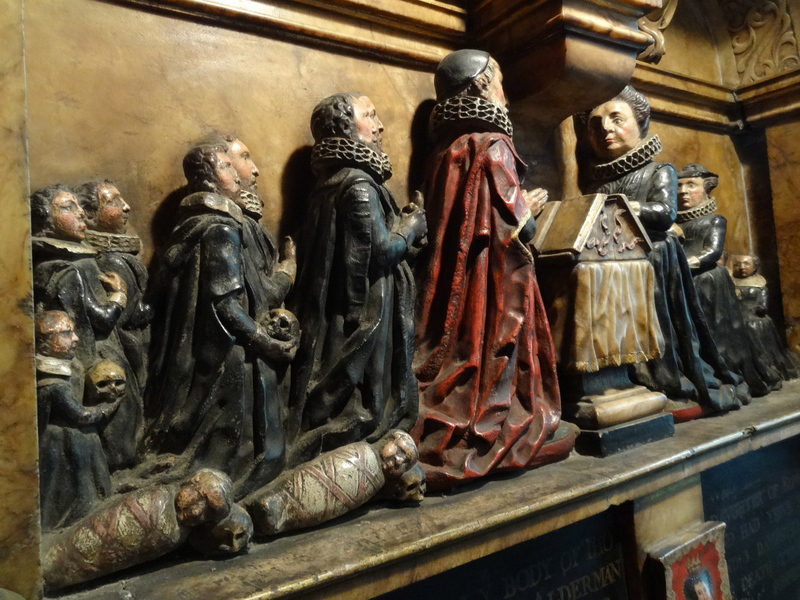 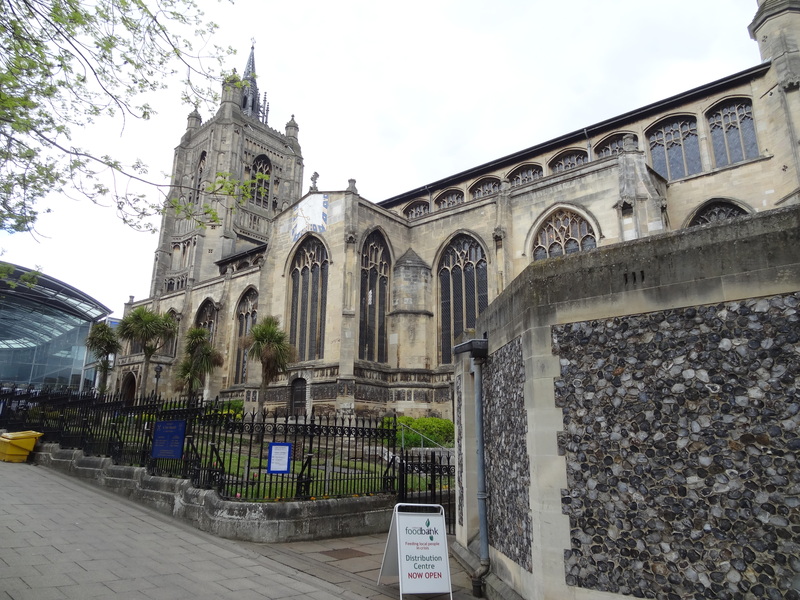 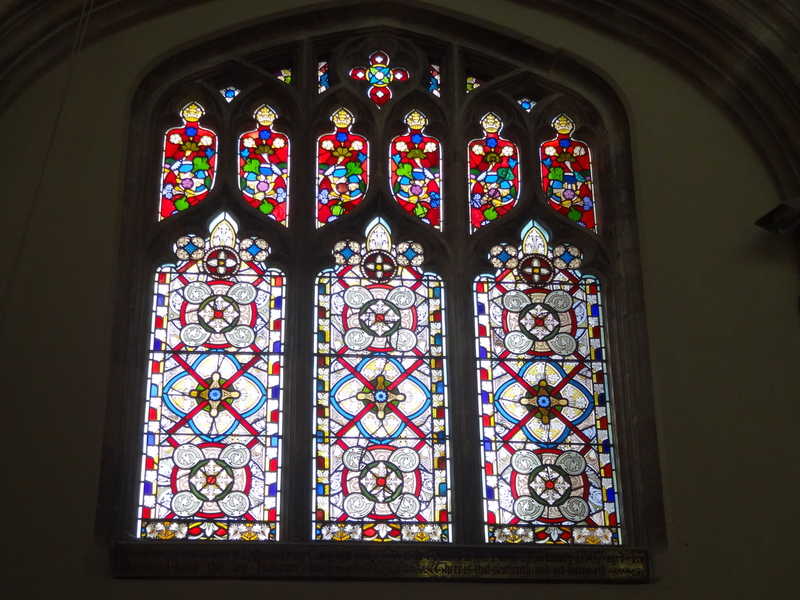 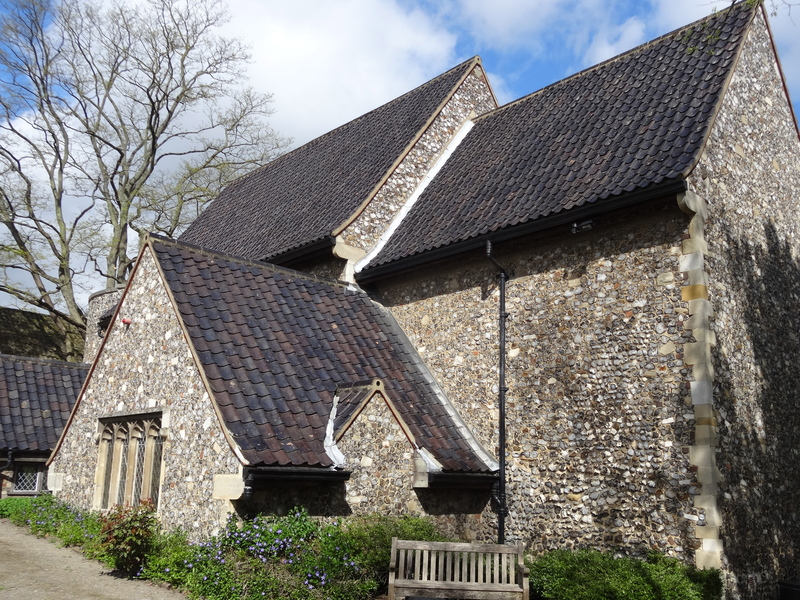 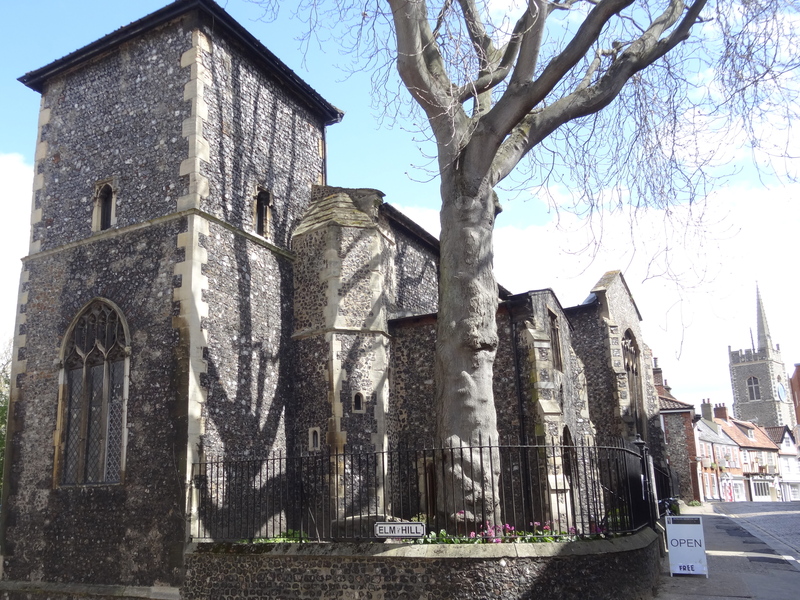 Post post script – if you’d like to experience the delights of the mediaeval churches of Norwich, in the company of a knowledgeable and personable guide, you can contact Helen at helendawson41@yahoo.com. 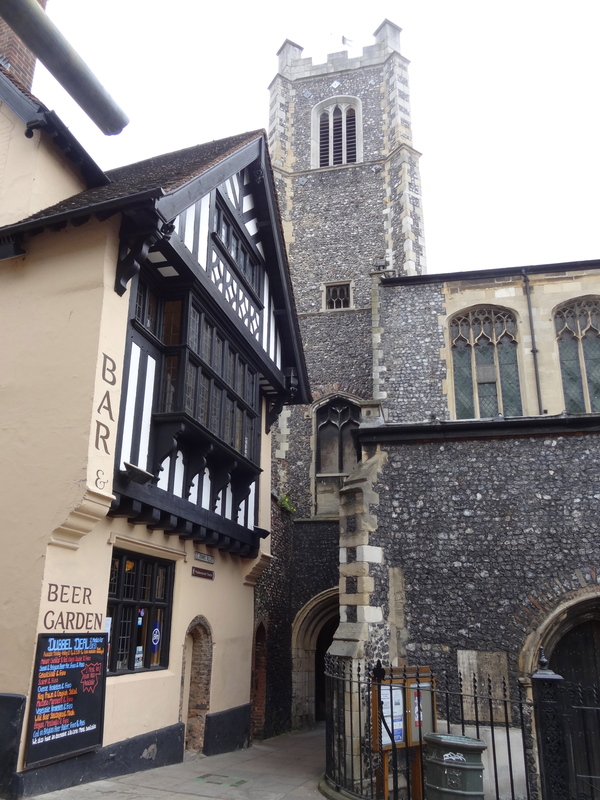 It might cost you a few quid, but well worth it! 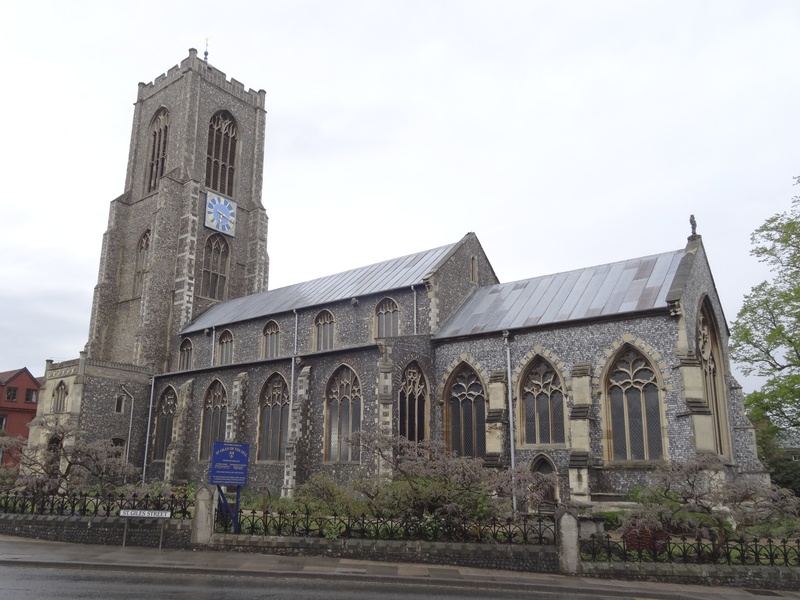 This entry was posted in Norfolk churches.